Harford Artists’ Association kicks off the New Year with an exciting opportunity at their gallery in Bel Air. 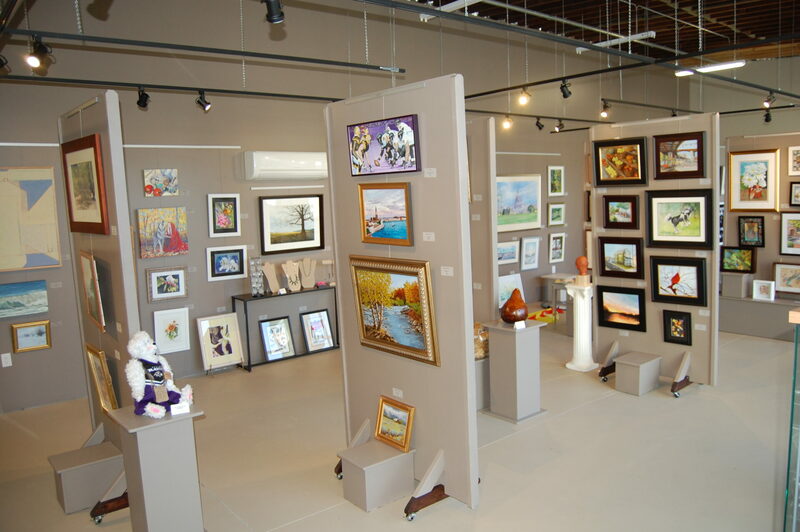 The Harford Artists Gallery is located at Armory Marketplace in the heart of Bel Air just behind the Armory on Main Street. Hosting six exhibits annually in addition to their workshops and community events, Harford Artist’s Association is a growing non-profit organization over 200 members which just celebrated its 50th anniversary in 2017. The first exhibit of the calendar year, which opens January 4, 2018, is the Starving Artist’s Exhibit in which all framed and unframed artwork is priced at $99 or less. Vice President of Harford Artists’ Association, Susan Zanella, says, “The Starving Artist Show and Sale, which features the talent of many Harford County artists, is an amazing opportunity for the public to be able to afford unique, one-of-a-kind original artwork.” If you are new to purchasing original art, this is a great opportunity to pick up a piece (or two!) for your home at a very reasonable price. And if you are a collector, it’s a terrific time to show your continued support to our local artists by adding another piece from either a favorite artist or perhaps someone whose work you don’t already have. The exhibit includes oil, acrylic and watercolor paintings as well as photography and pen and ink drawings. Sizes of the pieces also vary so you are sure to find just the right one for your home or to give as a gift. The gallery also carries original note cards, glassware, decorative gourds, and hand-made one-of-a-kind jewelry and scarves. Its location just off of Main Street makes Harford Artists Gallery a great place to visit on a cold, winter’s afternoon. Lunch or dinner at one of the many local eateries is just around the corner where you and friends can discuss your favorite pieces from the exhibit while warming up. The Starving Artists exhibit runs January 4th – February 25th. A reception with artists in attendance will be held on Saturday, January 13, 2018 from 1:00pm – 4:00pm. Gallery hours are Thursday through Sunday, 11:00am – 6:00pm and there is always something new to see!